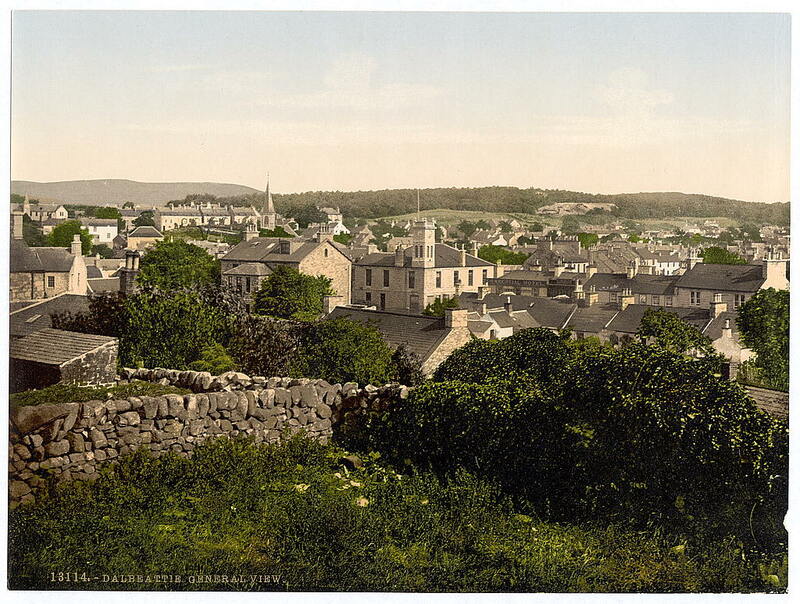 Though I passed through Dalbeattie in 2002, I have not found any photos from then. 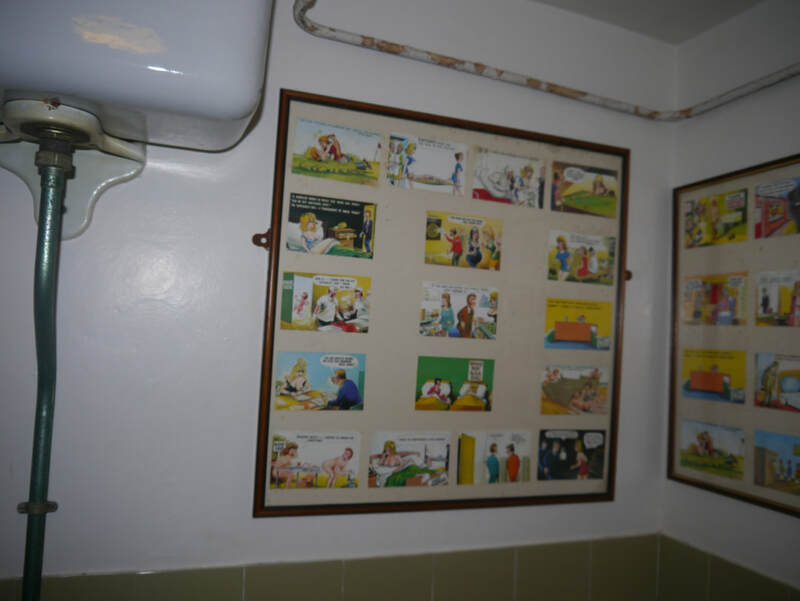 The only photos I have of this area are from Haugh of Urr. 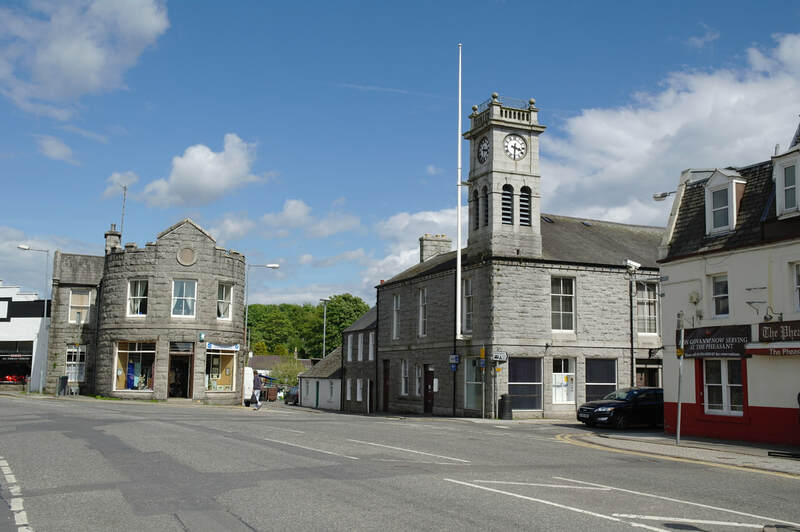 So the photos of Dalbeattie are from Wikimedia. Castlehill Point is the headland where the Urr Water meets the Solway Firth on the Dalbeattie side of the Urr, overlooking Rough Island which is a small tidal island off Rockcliffe in the Urr Water estuary or Rough Firth, accessible at low tide by a causeway or across the mudflats Rough Island is a bird sanctuary owned by the National Trust for Scotland. On the other side of the Urr are Almorness Point and Hestan Island separating Rough Firth from Auchencairn Bay - see the Kirkcudbright page. ﻿Rough Island﻿﻿ is also the name of a crannog in Loch Urr, the source of Urr Water, some 36 mies to the North. Nothing in Dalbeattie. Whisky Shop in Dumfries - TB Watson (aka Drambusters) (13 miles). Buittle is the name of the parish on the west bank of the Urr, and their remain a number of references to it - together with a lot of history. The name, previously "Botel" - "dwelling", possibly "royal dwelling" (probably same derivation as Bootle). The Mote (or Motte) of Urr is reputedly the best preserved example of a motte in Scotland. It has been the subject of extensive archaeological excavation, which has dated its initial construction to around the mid 12th century, possibly by Fergus of Galloway. The wooden tower was destroyed in 1174, rebuilt with the motte increased in height by about 2 metres and stronger though still wooden fortifications. Appears to have been abandoned in favour of Buittle Castle - see below. Excavations at Buittle "uncovered evidence of a permanent settlement during the Mesolithic era, temporary settlement during the Neolithic/Early Bronze Age, and permanent Iron Age/Romano-British occupation from the time of Agricola's invasion of Galloway in AD 82-84". The Lords of Galloway already had a castle near Kirkcudbright at Lochfergus, but Buittle Castle is beleived to have been built by Alan of Galloway in the early 13th century. (The above links are to accounts from a James Affleck of Castle Douglas, who gives colourful, if somewhat confusing histories of Galloway during this period). The Lords of Galloway had marital links to the Kings of both England and Scotland, and frequently switched allegience between the two contries. From the number of battles that were engaged in, they seem to have been fairly liberal with the lives of their Galwegian subjects. Alan of Galloway had no male heir and his daughter Devorgilla (see also Dumfries page) married John de Balliol. The conflicting cliams of the Balliols and the Bruces for the Crown of Scotland brought further strife at the end of the 13th century, and whilst their son, John Balliol was briefly King John I of Scotland, Buittle Castle was destroyed by King Robert the Bruce in 1313. There are few remains of this and a subsequent Balliol dwelling built in 1347, which appears to have been used by Edward Balliol, after he tried to regain the throne. A Tower House was built on the site in the 16th century which is still there and privately owned today (Not sure about the historical re-enactments referred to in the last paragraph of thie previous link, as then owner Jeffrey Burn got 18 months for Fraud in June 2017). Apparently a Western Orthodox Botel Abbey has been establsihed at the site as well. 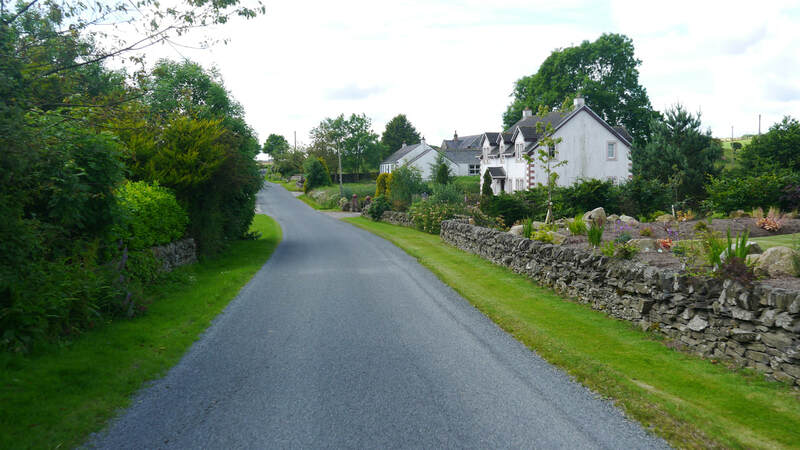 Kippford aka Scaur is a small village on the Urr Water, which developed into a port from the end of the 1700s to provide facilities for larger ships that couldn't make it up to Dalbeattie in connection with the local granite quarries. Scaur as it then was, became Kippford after the Post Office opened, in 1870, and used that name. Rockcliffe is smaller than Kippford and connected to it by a footpath (not clear if it's suitable for cycling). An ancient fort, the Mote of Mark lies along this path. 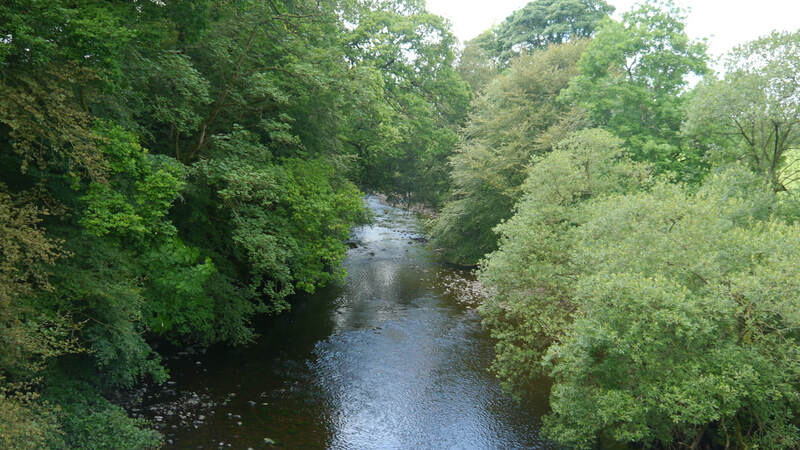 Kirkgunzeon ("Church of St Wynnin") is also on the river called Kirkgunzeon Lane (this may come from Gaelic "lean" - "marshy meadow"). There several other 'Lanes' in the area. ﻿﻿Drumcoltran Tower﻿﻿ is a well preserved tower house just north of Kirkgunzeon. The village's former railway station is well preserved as well, though now part of a caravan park. 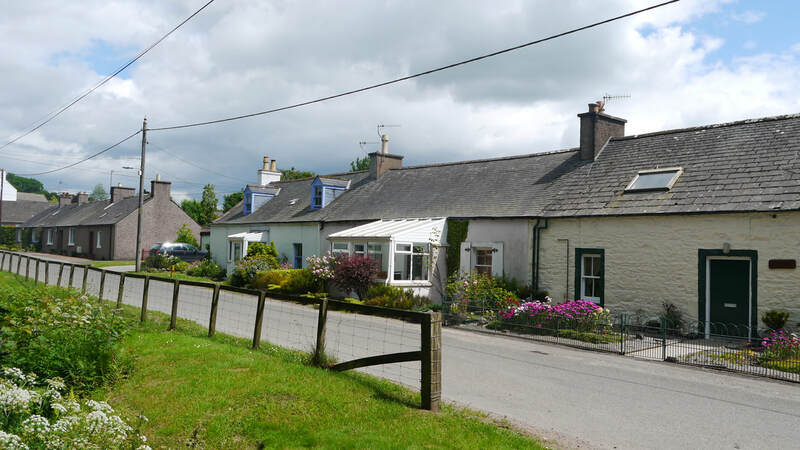 Beeswing, re-named (previously Lochend) after a 19th century racehorse, is a small village on the A711 near Loch Arthur - claimed as a setting for the Arthurian story of the Lady of the Lake - along with many other claimants. It is also home to the Loch Arthur Camphill Community - a supportive community for people with learning disabilities mental health problems and other support needs. They have a farmshop and café. Loch Arthur also has a substantial crannog. Haugh of Urr is at the crossroads of the Old Military Road from Dumfries to Castle Douglas and the B794 close to the former's crossng of the Urr Water. There was a railway station at nearby Buittle, but only from 1859 to 1894. 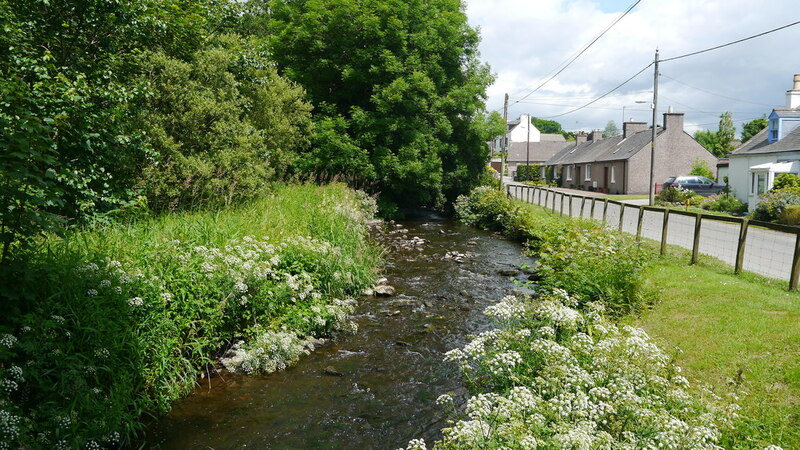 Dalbeattie is built around the Dalbeattie Burn, also known as Kirkgunzeon Lane (see below), just before its confluence with the Urr Water. Earlier settlements were further up the valley, (see below left) and at some point the Firth extended much further, reflected in the farms named Little Firthhead and Meikle Firthhead, halfway to Haugh of Urr. The Urr's lowest crossing is the Buittle Bridge aka Craignair Bridge - a single span stone arch, lengthy for its time (1797) which replaced an earlier two arch bridge near Buittle Castle which had been washed away. Satellite views clearly show the track of the old road leading to the old bridge. On the opposite bank are ﻿﻿Craignair Granite Quarries﻿﻿, the sole remaining quarries of the many that once surrounded the town and supplied the stone from whch it is built - and exported globally. The Burn and the Urr Water provided suitable facilities for docks for handling exports of granite. The railway came to the area in 1859, with the opening of the Castle Douglas and Dumfries Railway, which was routed via Dalbeattie. Dalbeattie Station was built slighty north of the town centre, the town soon grew to fill the gap to the station and since the closure, which has left little remains, Station Road now extends right out to Rounall Wood. 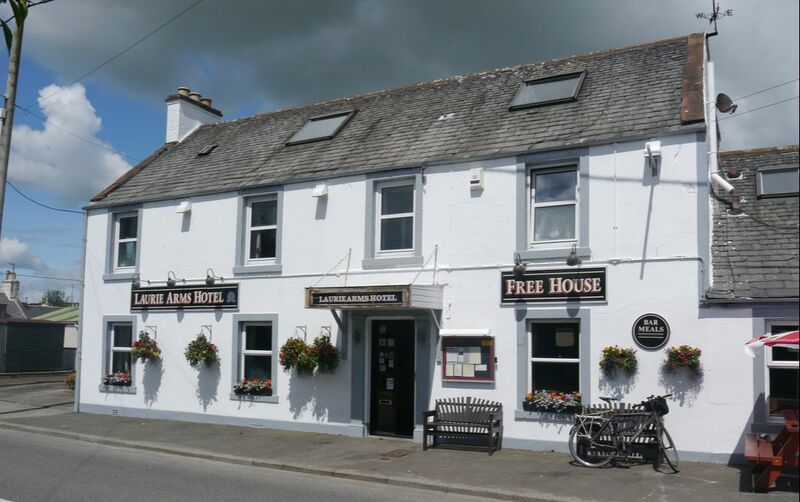 Dalbeattie is close to National Cycle Route 7 and one of the 7stanes Mountain biking trails.